to some of our Voices For Hope Winners singing LUNCH songs. The 2018 Voices For Hope winners came to the studio to record "All of Us, God's Children" written by Bill Pere, blending their talents and voices. 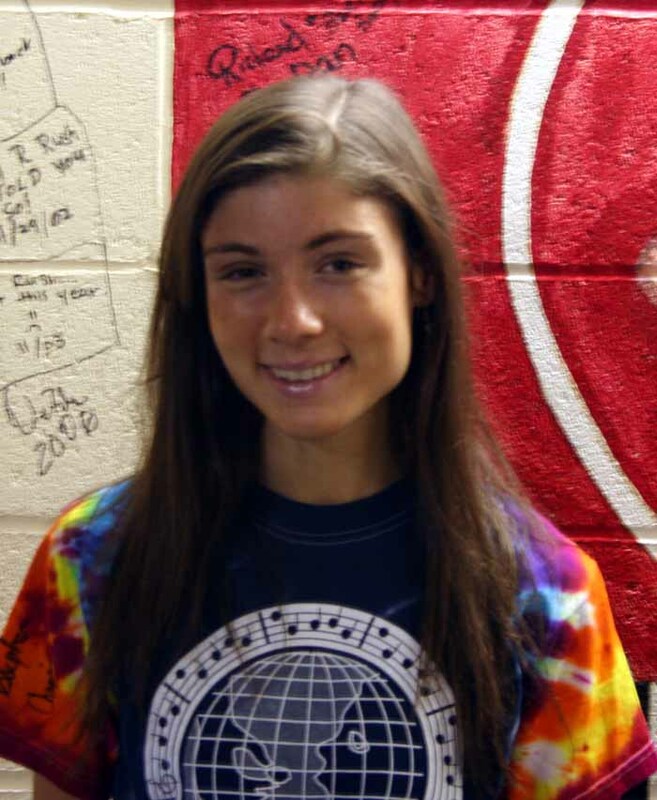 2016 Voices For Hope winner Kennedy Morris came to the studio to record "Junp Start (All of Your Dreams" written by Bill Pere. 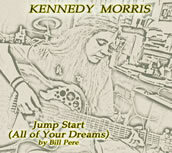 Kennedy's rendition is a great addition to the several other artists who have recorded this song. 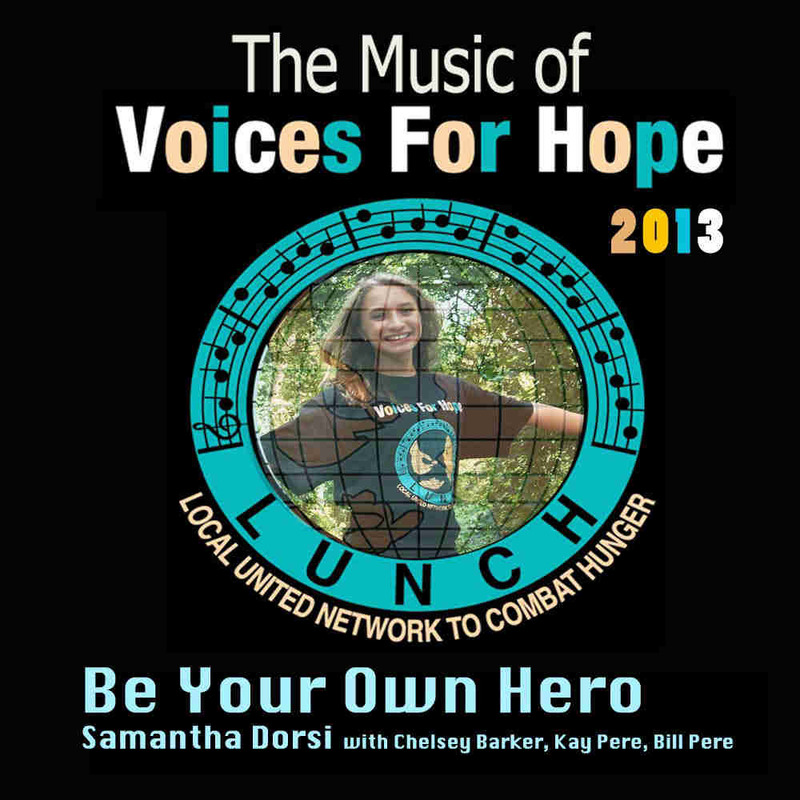 2013 Voices For Hope winner Samantha Dorsi and fellow VFH finalist Chelsea Barker came to the studio to record "Be Your Own Hero"
Samantha has sung at other LUNCH events, and Chelsey has become a regular member of the Ensemble. 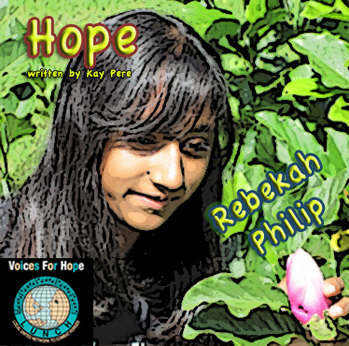 2011 Voices For Hope winner Rebekah Philip came to the studio to record "Hope", written by Kay Pere. Rebekah has performed this and other songs live with the Ensemble at several events. 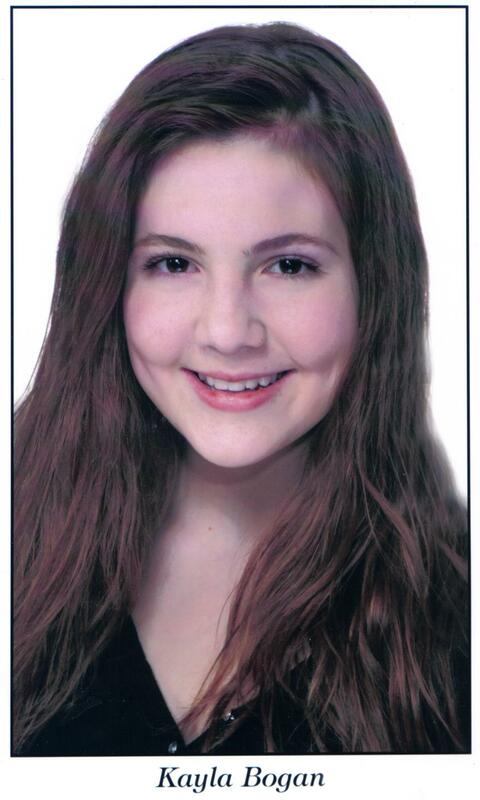 Our 2010 Voices For Hope winner is 15 year old Santana Roberts, of West Greenwich RI. Santana participated in the 2007 competition, and she placed third. 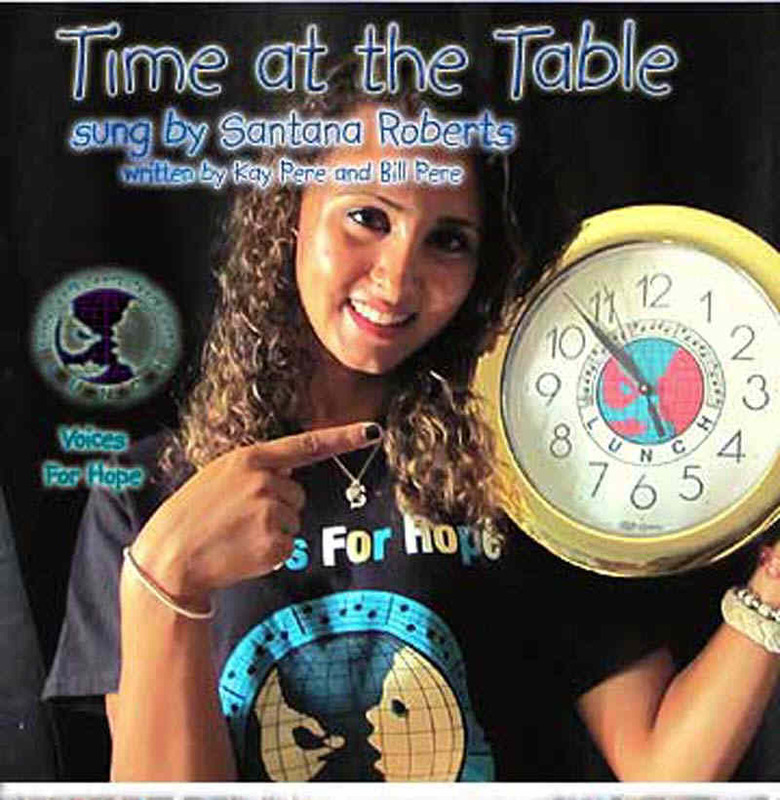 In July 2010, Santana came to the studio and recorded "Time at the Table" which was the final audition song for the 2010 event. She has sung the song several times in live performance with Bill and Kay, and had some radio play as well. Our 2010 second place winner, is Angel Martin age 12, from Brooklyn, CT. Our 3rd place winner , 11-year old Mackenzie Ackley, is from Mystic, CT. 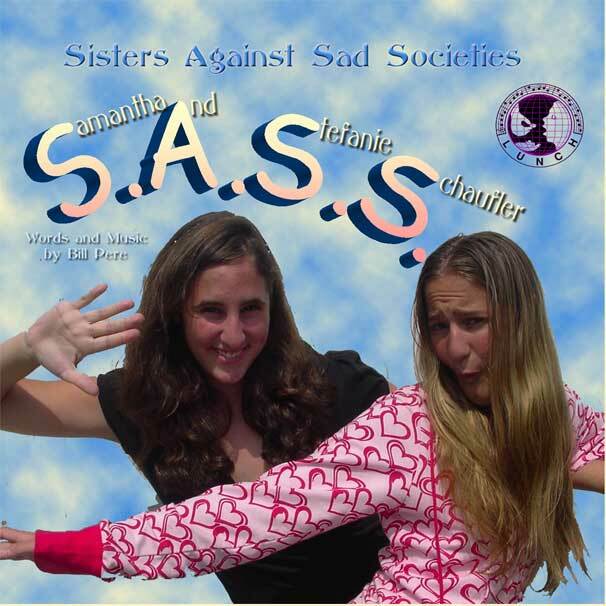 These two young girls with big voices were perfectly suited to join us in the studio as a duo to record "The Orphan's Lament", a song from Bill's children's musical "Pegasus". Listen to Angel & Mackenzie on YouTube.. 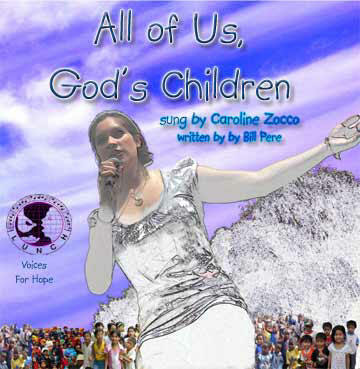 In August 2009, Caroline Zocco, our 2009 VFH Winner recorded "All of Us God's Children", which was the finals audition song for the 2009 competition. 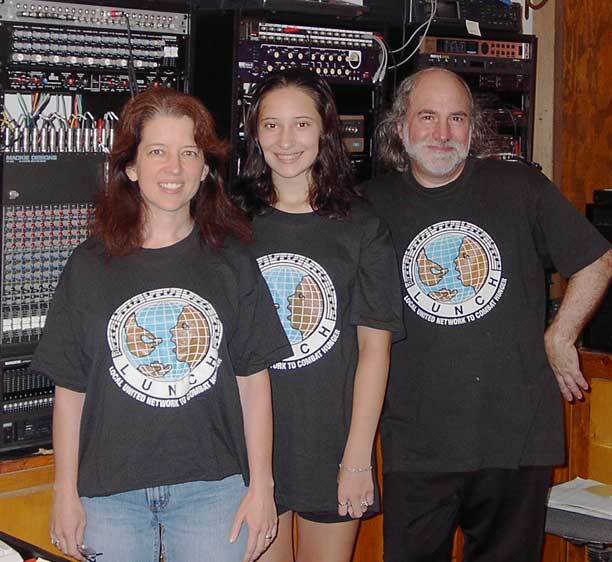 Bill Pere, as Official Connecticut State Troubadour, was asked to write the song for the Special Olympics World Games in New Haven, CT, in 1995 .